Lagos, Nigeria. 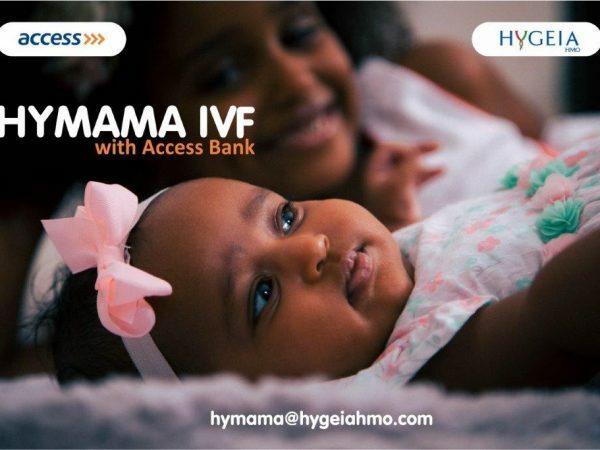 – For the second consecutive quarter, Hygeia HMO – Nigeria’s premier health insurer has released the quarterly rankings of hospitals in Nigeria. The rankings are designed to leverage the voice of our customers for service improvement and help patients make informed decisions about where to receive care and to provide deserving hospitals with the recognition that superior service deserves. The Q4 2018 rankings compared more than 130 medical centers nationwide across specialties and procedures and are derived from recommendations by our members based on their most recent experience. Hygeia HMO members rated their experience at each of our partner hospitals through a daily “Voice of the Customer” process. This process was designed to ensure that members are constantly getting the best care available and to be able to identify & de-escalate any problems quickly. In the course of analysis, a lot of data points emerged including quality of care, patient experience and member willingness to recommend the hospital to others. 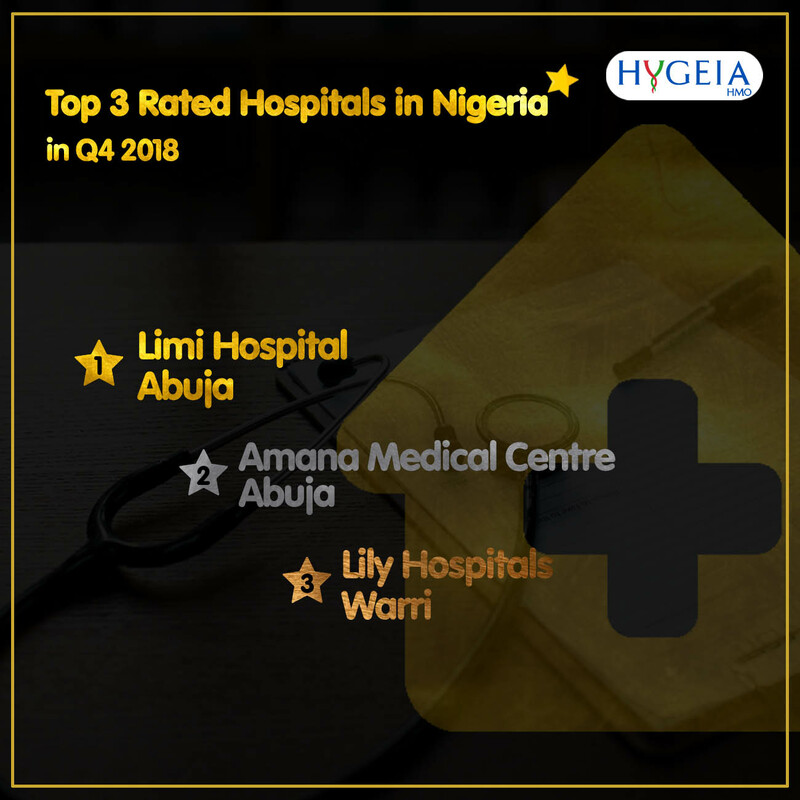 Limi Hospital is the top hospital in Nigeria as rated by our members in Q4 2018. Located on Iseko Street, Off Constitution Avenue in Central Area, Abuja, Limi Hospital has been around since 1982 and is led by Dr Iseko Iseko, a cardiologist. They provide care in a number of specialties especially: Cardiology, Endocrinology, Gastroenterology, Neurology, Obstetrics & Gynaecology, Ear, Nose and Throat conditions, General Surgery, Paediatric Surgery, Dermatology and Radiology. Amana Medical Centre is led by Dr. Eloka Menakaya, an Obstetrics & Gynaecology specialist. The hospital is in its 19th year having been founded in 2000. For the first time, this ranking sees 2 hospitals in the same city making the top 3 list. Amana Medical Centre is also in Abuja and can be found at 5, Ilorin Street, Area 8 in Garki. They have particular expertise in Obstetrics & Gynaecology, General Medicine & Surgery, Paediatrics, Dermatology, Orthopaedic, Embryology and Physiotherapy. Founded in 1984 and led by Dr Chidi Ihemelu, the team at this hospital have shown remarkable levels of service to be this highly rated. With a stated mission to “make every customer contact an outstanding and pleasurable experience”, they provide quality care in Minimal Access Surgery, Ophthalmology, Obstetrics & Gynaecology, Cardiology, Ear, Nose and Throat conditions, Rheumatology, Dermatology and Fertility treatments. Where necessary, we have taken corrective and preventive actions to improve our service and help our provider-partners improve service too. When our members get good service at a provider, they tell us and we can spread the word. Everyone wins! Where providers have implemented their own real-time feedback process, it has been very helpful towards achieving superior customer service.